This is the standard course of Round Trip in Kanazawa City. 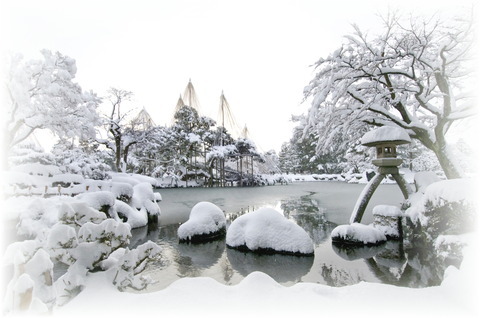 In this trip, you can visit Kenrokuen Garden, Kanazawa Castle, Higashi Chaya (Tea-house) district, Omicho Market Place, Villa "Seisonkaku" or your favorite spots you'd like to visit. It takes about 4 hours in this trip. Small car(for 4 person) use, the Rate is 25,200 yen (when 4 passengers 6,300 yen each).